Vitaliy joined MUNRFE since his participation in summer educational program FireStarter 2007. One of the first big projects in his life was the VI MUNRFE International Conference (Blagoveshchensk, 2007), when he was working with experienced MUNRFE members within organizer’s team. The VII International MUNRFE Conference, held in 2008 in Vladivostok, was his first delegate experience, while he was credentialed to represent the People’s Republic of China in the General Assembly. His performance in terms of the General Assembly was improved in 2009, when Vitaliy was honored to participate in Moscow International MUN in Moscow State International Relations Institute. During his next MUN Conference, the IV IT Conference, he participated in the European Court of Justice and the European Commission under the unique European Union simulation. At the VIII International MUNRFE Conference (Khabarovsk, 2009) he was a member of the USA delegation – the 3rd best team. After that, in October, 2010, he was invited to share his experience, as crisis-manager and Co-Chair of the World Bank, on the Zabaikal International MUN Secretariat in Chita, Eastern Siberia. In the end of the year 2010, he served as Vice-Chairperson of the Security Council during the IX International MUNRFE Session in Vladivostok. In addition to his rich MUN debates career, he participated in other numerous MUNRFE projects. Moreover, he occupied almost all positions in the Cabinet of Blagoveshchensk Club , including his appointment as the Vice-President in September, 2011 and his current position of the President of Blagoveshchensk MUNRFE Club. 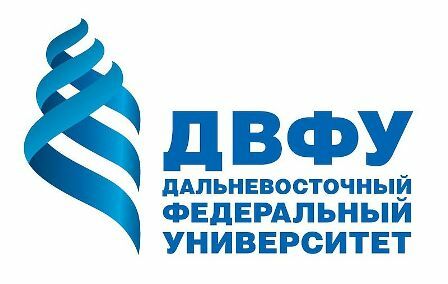 Besides his active involvement in MUNRFE activities, Vitaliy holds the office of adviser on legal affairs of one of the biggest non-governmental youth organization in the Amur region. In 2010 he was the head of the parliamentary ethics and order committee of the youth public chamber under the auspices of Blagoveshchensk Municipal Parliament. His hobby is football and he enjoys to play goalkeeper as well as to watch football matches on TV or on the stadium. 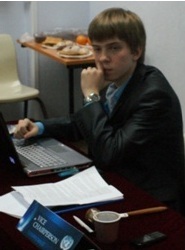 Sergey has started to participate in Khabarovsk MUN club activities since Autumn Master-Classes in 2007. His first MUNRFE Conference was held in Blagoveshchensk, in 2007, where he represented the Republic of Slovakia in African Union and took the third place in that Committee. His next significant step in MUNRFE Conference experience was the participation in the III IT Conference conducted in Komsomolsk-on-Amur, where he was recognized as the best delegate of World Trade Organization. Being announced as a laureate of the mentioned Conference he was nominated with an opportunity to become a member of MUNRFE delegation to the National MUN held in X’ian, China. Although he has a large experience in UN and non-UN bodies dealing with economic affairs he is also enthusiastic about participating in judicial and political organs of international organizations. He created and chaired European Union at the 4th IT Conference, where one of the simulated bodies was the European Court of Justice. Besides that experience in European internal law affairs he twice participated in International Court of Justice simulation: on the 7th MUNRFE Conference and on the 60th MUNFW Conference in San Francisco, USA. Due to his great MUN debates experience, he was invited in the Secretariat of the Zabaikal International MUN Secretariat in Chita (October, 2010) as a crisis-manager and Chair of the World Bank. In spite of his inspiration with learning international public law, Sergey also has his own studies in Russian legislation. Thanks to one of his written works related to legal development of bankruptcy institute in Russian Federation he took the 3rd place at All-Russian competition on anti-crisis management. Sergey is also fond of active sport, especially, skiing. Marina joined Blagoveshchensk MUN in 2003. Occasional acquaintance with the MUN phenomenon evolved to her till-the-present-time devotion to the matter of leaders’ development. An active MUNRFE period lasted only 1,5 years and included Cabinet membership as a Development Committee Chairperson and 2 International conferences participation (the II IC in Vladivostok and the III IC in Irkutsk). As soon as Marina graduated from the university, she had to shift to the Alumni status in spite of a strong reluctance to part with MUN. Therefore, Marina willingly agreed to assist when that was required. It resulted in 2 more International Conferences where she was granted an opportunity to debate in her favorite committee simulated in frames of MUNRFE – the International Court of Justice (the V IC in Khabarovsk in 2006 and the VI IC in Blagoveshchensk in 2007). To add, Marina gained some chairing experience in the IAEA first-time simulation at the I IT Conference in Komsomolsk-on-Amur (2008), vice-chairing in the SC at the VI International one in the native place of Blagoveshchensk and performing as ICJ Registrar, VIII MUNRFE International Conference, Khabarovsk. According to Marina, she enjoys advisering a lot since obviously you develop greatly while developing others. As for her most memorable adversership, that was assisting the USA team of Blago at the VIII International Conference in 2009. At present she remains an indispensible adviser of the Blago MUN Club. Talking of the Project life, she’s applied management skills obtained in MUN mostly when teaching English in various educational institutions and accomplishing organizational tasks of different sort there. Now being a post-graduate student Marina is pursuing a degree in philology. Marina believes the II Regional MUNRFE Conference is going to be a new fascinating experience for her due to a dramatic shift from her previous affection for security and legal issues to the economics field within the GA 2nd Committee. Hopefully, you’ll get delighted with the on-coming hot debates as well! Marina joined the MUNRFE in 2009 after the graduation of the Autumn Master-Classes in Vladivostok. She showed almost immediately her gift for journalism while being the member of DPI during the VIII International MUNRFE Conference in Khabarovsk and the editor of the newspaper for the Spring Master-Classes in 2010. Over a period of her activity in MUNRFE she proved her activeness and sharp mind, honestly working for the organization's prosperity, developing lectures devoted to leadership concepts and acting as a member of the Cabinet for half a year. Marina was also an adviser who brought up one of the best teams at the Autumn Master-Classes in 2010. The experience of MUN conferences is one more thing Marina can feel proud of. Her first conference, which was International Youth Symposium in Khabarovsk, took part even before starting her way in MUNRFE. Then, being already the member of the organization, she achieved pretty considerable results representing Singapore at the APEC Youth Summit and then China at the IX International MUNRFE Conference. Owing to it Marina was honored to become the delegate of France at the Asian International MUN Conference in Beijing, and her performance in the UNICEF, being a unique practice for her, was dignified. At the moment Marina feels mature enough to apply all professional skills and knowledge about periodical press in the capacity of the Under-Secretary-General responsible for the Department of Public Information at the II Regional Conference.